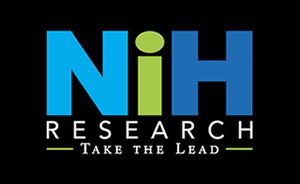 We are confident that an NIH Research & Consulting [NIHR] Proof of Concept Campaign will provide proven, measurable, quantifiable results within the first 90 days. Our 12-week campaigns work synergistically with your existing marketing and sales resources to propel your team and company efforts. With over 95% client retention, highly educated, credentialed, tenured staff, we are very proud of our reputation and the company culture we have created to provide you the best ROI in the industry. Quality is the foundation on which NIHR is built. We are confident that we will exceed your expectations with our educated, dedicated team and proven campaigns. Our greatest pride resides with the experience and credentials of our knowledgeable team. Our average staff tenure is over 10 years, and 95% of our consultants hold a Bachelor’s degree and higher level of education, along with extensive F100 and F500 corporate backgrounds in healthcare and technology. We are the only firm in our space to proudly feature and detail the team members we will have working for you. The 90 Day Proof of Concept Campaign is a great way to see what our team is capable of and to find out why we’re the leading provider of exceptional market research and lead generation services within the healthcare technology industry for over 25 years. At NIHR, we value our team and our process. You will get more than you pay for because our team excels. We have a proven track record in delivering informative research and quality leads and providing essential market insights to the technical healthcare industry. Check out our testimonials! We will outline your 90 Day Proof of Concept Campaign that will result in qualified pipeline opportunities, valuable marketing intelligence and the beginning of a successful, long-term professional partnership.